The complexity and depth of this game is what critics have been raving over. Being one of only twenty games to receive a perfect rating, it comes without a doubt that this game was highly anticipated. RDR2 has the largest map ever created by Rockstar and contains multiple different biomes and environments ranging from snow covered mountains to low lying deserts. While the typical game involving wildlife will contain 10-30 different species of animals throughout the entire game, RDR2 contains over 200 species of animals that vary in size and and are specific to certain location. Game play throughout the story was reported to be 60 hours of game play and that is excluding all the side missions and objectives which can total the game up to 75 hours. Throughout the game you can choose whether you want to be honorable or dishonorable and they have effects on your experience. Your hair grows longer and you have to trim it, you get hungry and if you don’t eat enough you get skinny and weak but if you eat too much you get fat. No game has ever gone as in depth as this. Red Dead 2 takes place 10 years before the original game and you play as protagonist Arthur Morgan. Morgan is in a highly reputible gang but the lawlessness of the West is slowly fading as the new industrial world gives way to law and order. Morgan is highly ranked in his gang of outlaws led by Dutch Van Der Linde. Throughout the game you will have to fight to survive in a world that tries so hard to get rid of you. The main character from Red Dead 1 is also in the game and it provides a deeper understanding to the original game. Gamers everywhere have been waiting for this game for years on end having to deal with push backs and repetitiveness of playing the classic sports games and Call of Duty. 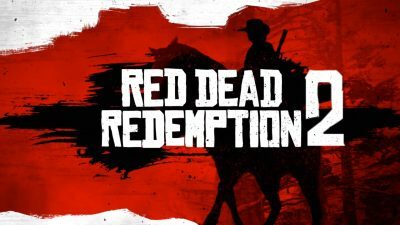 The reason why RDR2 is highly anticipated isn’t necessarily because of how great the game is, it’s because it’s something new.